I have an old Epson D92 that we used for dye sub printing. This has now been superseded so I get to take it apart! 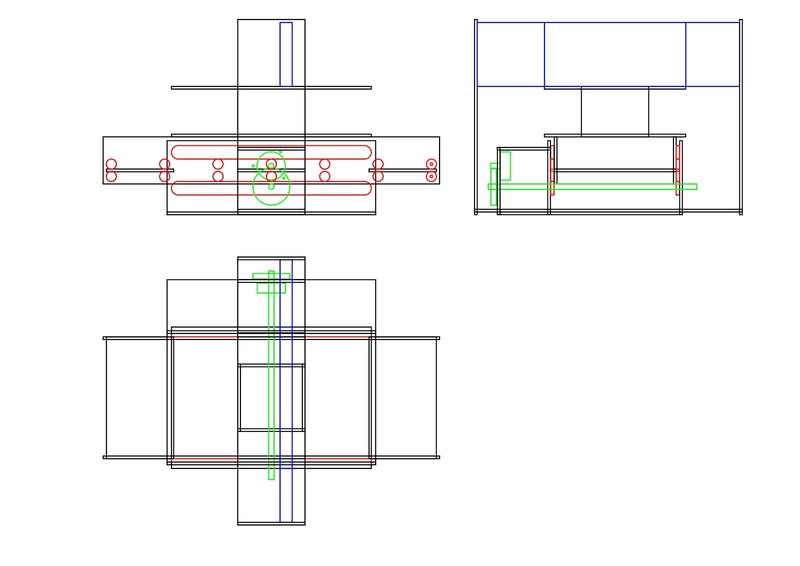 the plan is for a simple Direct To Garment system which I plan to document and publish the laser files on Thingiverse. So far we have torn down the printer and it is basically modular. There is the main beam which the heads run on and contains the control board, the power supply and a stepper motor to drive the paper, or in this case platen. the only issues I can foresee is the paper trigger timing and making sure the drive is powerful enough to pull the platen along. I plan to design with adjust-ability in mind so hopefully ironing out problems won’t be too tricky. The printer is an older model however the current Epson S21 is practically identical internally so modifying the design for this should not be too difficult. Below is the first sketch, and this has already been replaced by a newer improved version! It is based on 4mm ply and has no consideration of joints, bracing and in places basic physics.